Opposition leader Don Polye wants economy managed well. 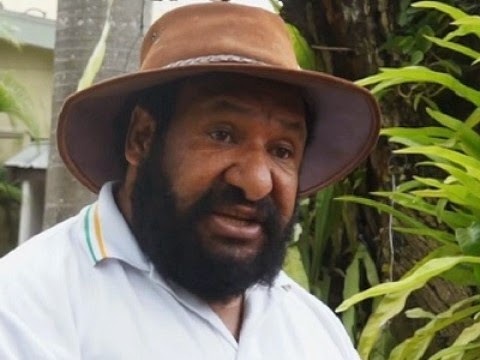 Papua New Guinea Opposition Leader Don Polye has challenged the government to be more vigilant with managing the economy and affairs of the country. Mr Polye said the government should have a sound economic management system for the majority in the country to benefit. He said the current trend with the government’s financial management has dragged down the country’s development strategies. “When our investments are managed well, the people benefit,” Mr Polye said He said the Constitution and the rule of law had been hijacked forcing the Opposition to be denied exercising of its mandated responsibilities. He said this during the launching of the Goilala district projects on Monday. “We in the Opposition uphold the value of transparency and lead by example,” he said. He said developments were only centred in Lae and Port Moresby while other centres including rural areas missed out. “This is not the government that we intend to have. “We are a government that has people close to our hearts and we will put down a big fight come 2017 when we get into power to show our true leadership of governance,” Mr Polye said.